Wächter, Otto von, b 8 July 1901 in Vienna, d 14 August 1949 in Rome. A Nazi functionary. A baron and a lawyer by profession, in 1934 he was the political leader of the failed Austrian SS putsch in Vienna. 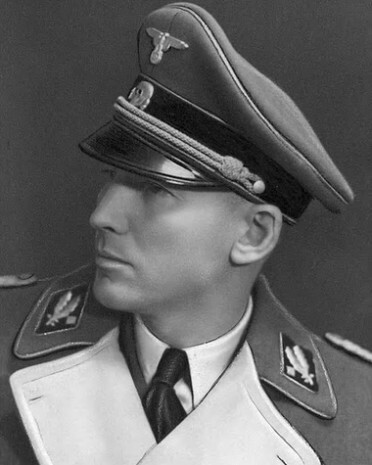 During the Second World War Wächter served as an SS Brigadeführer and (from April 1944) Gruppenführer. As governor of Cracow (from 1939) and the Distrikt Galizien (from November 1941) in the German-occupied Generalgouvernement of Poland Wächter was more sympathetic to the Ukrainian Central Committee and the Galician Ukrainians’ national aspirations than were other Nazi administrators, and he removed many aggressively anti-Ukrainian bureaucrats under his command. In 1943 he conceived the idea of creating the Waffen SS Division Galizien and convinced the SS Reichsführer, Heinrich Himmler, to agree to it; he failed, however, to convince Himmler that it should be called the Division Ukraine. Wächter appointed the members of the Military Board of the Division Galizien and generally had good relations with them. In 1945 he was the commander in chief of all Waffen SS divisions made up of non-Germans. After Germany’s capitulation he received asylum at the Maria dell’Anima Monastery in Rome.